He's originated some of the most iconic roles in Broadway history, including Che in "Evita" and George in "Sunday in the Park with George." 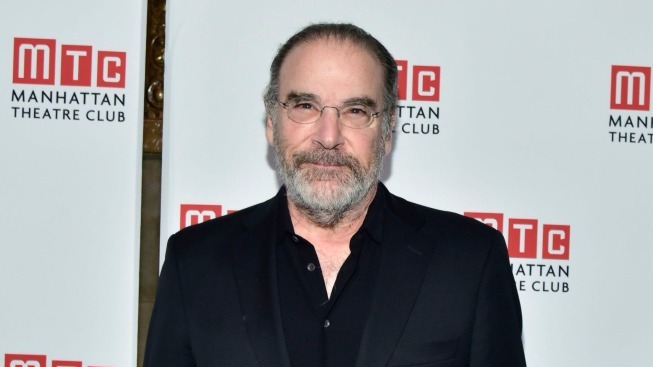 And now Mandy Patinkin will once again grace the rialto, stepping into his first role in 17 years in the Dave Malloy's electropop opera "Natasha, Pierre & The Great Comet of 1812." The 64-year-old "Homeland" star will play the title part of Pierre at the Imperial Theatre beginning Aug. 15 and running for three-weeks through Sept. 3. It's the part that was created by Josh Groban — who received a Tony nomination for his work. "Hamilton" alum Okieriete "Oak" Onaodowan, who replaced Groban, will play his final performance Aug. 13. Tony nominee Denée Benton will remain on as Natasha. "Mandy Patinkin is a titan of musical theatre. He has given us some of the most unforgettable performances in Broadway history and created some of the most iconic leading roles ever written for musical theater," said producer Howard Kagan in a statement. "So it's an incredible honor that Mandy said yes to the idea of making his return to Broadway as Pierre in 'The Great Comet.' We can't wait to see how Mandy makes the role of Pierre his own as he joins the 'Comet' family." The musical received 12 Tony nominations — more than any other show this season. Patkin last trod the boards in 2000's "The Wild Party," for which he received a Tony nomination. Since then he's appeared in a number of concerts, including 2011's "An Evening with Patti LuPone and Mandy Patinkin."